Last week, on my way to meet other urban sketchers to sketch at the Art Gallery there was an issue with the subway. It took me an hour instead of 20 minutes to get to my destination. Good thing I was planning to get there in advance, so I wasn't too late. 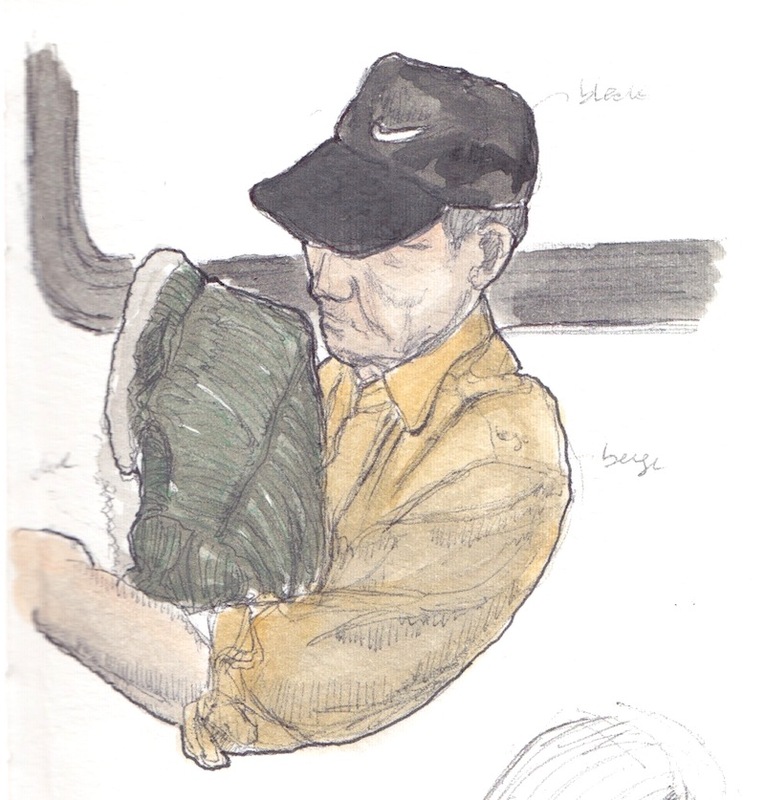 Nevertheless, I used this opportunity to really take my time sketching this man who got a little shut eyes while waiting for the subway to bring him to his destination. He barely moved, which was great for me.